Morgan James Fiction, 9781630475192, 262pp. It is a hot June night in upscale Orange County, California. When young, beautiful Consuelo Vargas turns up mutilated and left for dead in a strawberry field, the Irvine Police Department and OC Sheriff call in top FBI Forensic pathologist, Catherine ( Cat ) Powers to help solve what turns out to be a string of murders. 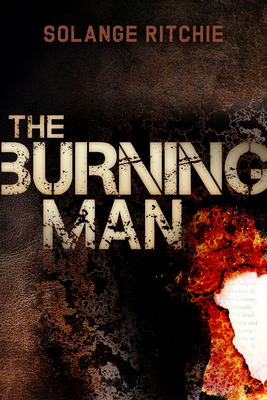 Charged with hunting down a twisted serial killer, dubbed the The Burning Man, as more bodies turn up, Cat embarks on a dangerous game to try to understand and catch him. Her actions may destroy the people she holds most dear. Her decisions will forever change the lives of those she loves. Little does she know, "The Burning Man" waits for her, drawing her closer into his web of death, lies and deceit, so that he can take from her the ultimate prize. He waits for her in plain sight forcing her to make a choice no mother should ever have to make. Taunt with suspense from the first page, "The Burning Man" traces the painfully real struggles of a driven woman torn between her career demands and single motherhood, a family saga involving Cat's young son and his loss of innocence at the hands of a madman. It explores the unbreakable bond between a mother and her child as they combat pure evil. Driven by a need for the truth, Cat knows that she will do anything to catch this killer and keep those she loves alive. Solange Ritchie is a distinguished trial attorney practicing in Orange County, California. Born of a Jamaican father and a French mother, Solange draws on a rich multi-cultural heritage to add depth and texture to her characters. A life-long fascination with medicine and law and what makes people "tick," leads to the penning of her first novel, THE BURNING MAN. Solange has published extensively in legal magazines in the areas of trial practice, civil litigation and related issues.